We ask all customers who buy a caravan or motorhome from us to leave us feedback, it helps us improve what we do. We post all our independently verified reviews. Hi Simon, Just to let you know our caravan has arrived and I have at our residence. The van is in great condition and I was very impressed with the service and follow up from Lady Bailey and the importers for keeping us informed every step of the way. Our caravan arrived in Wellington 10 days ago. It arrived undamaged and picking it up went smoothly, although our power connection on the car wasn't compatible so we had to tow it without tail lights! We have it in at a local workshop having the mover installed, water tanks in-built and power switches changed. We expect to get it back, all finished, later this week, in time for Christmas. We are really looking forward to getting away in it for our summer holiday. (I believe summer is just a distant memory in the UK as you currently experience a cold snap!) Simon, many thanks for your part in getting the caravan ready and dispatched to us. It is a fantastic service that you provided and we certainly would have no hesitation in recommending Lady Bailey to any prospective NZ buyers. We hope you have an enjoyable Christmas. Our best wishes for a happy and healthy 2018. Just letting you know we received our 2010 Bailey Pegasus and it is as described. It has arrived in good condition with minimal issues. We would like to thank you for the ease of the transaction and the description of the van. We may purchase again and if so will certainly be giving you a call...am watching your website regularly. Our caravan is still on the high sea's and should arrive NZ Auckland 9/11/14. The service and proffesionalism was just fantastic. This put us at ease undertstanding that we were dealing with a reputable company and staff.That had all bases covered from the sale to the shipping. So easy for us. We have just recently imported a caravan and we are really delighted with it. It is a big van but we have been away serval times in it and manage it very well. The comfort and layout is amazing. It is like home away from home they certainly think of everything.I would like to thank Simon and the team at Lady Bailey, Chris and Steve at the shipping company they made this all possible and so easy. Nothing was ever a problem when phoned or emailed. We have been so delghted with our Van our Son and partner are in the process of importing a Van to New Zealand for themselves . Well done guys we are one of very many happy campers thanks to you. Simon and the team at Lady Bailey were great with everything happening as Simon said it would. Lady Baileys preferred Freight Company and their agents were also very good. We were particularly pleased that they took care of all the customs stuff. All we had to do was pay the taxes and pick up our caravan from their agent here in Adelaide. You will need some patients if you�re going to import, as the authorities you will have to deal with here in Australia are not quite as proactive as Lady Bailey. Some of the Australian compliance issues can be trying too. We still strongly believe it has been worthwhile as the savings on any comparable caravan you can buy here in Oz are quite significant. Happy to talk to anyone who�s seriously thinking about importing. You can get our number or email address through Simon. Our caravan arrived from the UK last week. It was a relief to receive it in perfect condition. Simon & Dave(parts & accessories man) at Lady Bailey were excellent to deal with and although we had heaps of questions they were quick to respond and had all the answers. The complete transaction was very friendly and professional. We were introduced to Lady Bailey by Gerry from UK Camper (shipping agent here in NZ) after making inquiries regarding importing a caravan from the UK. Gerry was on the ball and we were impressed with the way they packaged and took care of our van. Darren from Owens Logistics in Christchurch was great with the unpacking and customs etc. All and all the whole process from our very first contact with Lady Bailey was excellent. We have no hesitation in recommending Simon from Lady Bailey and Gerry from UK Camper to anyone thinking of importing a caravan from the UK. Our caravan arrived last week, we got it registered this week. We are absolutely delighted with the whole process. It was almost effortless. Simon and Levi were great, most important to us and what we appreciated very much was the communication, every email answered, never had to chase anything up, a big plus. The caravan looks great inside and out, envy of our family and friends. Looking forward to taking it out in the next few weeks for its first trip. Thank you again. Our caravan arrived yesterday and we are absolutely delighted. The build quality and finish is fantastic - leaves the Australian caravans for dead. The service we received from Simon was wonderful. We had Simon arrange extras (awning, electric mover etc) as I was advised by a member of the Caravan Industries Association of Australia that no one in Australia would give me any support on an imported caravan thus my decision to buy everything from Lady Bailey. As it turned out they did me a favour as it was cheaper to by everything from Lady Bailey. More than happy for Simon to pass on our contact details to anyone thinking of importing a caravan. We cannot thank Simon and Lady Bailey Caravans enough for their 1st class service and our beautiful caravan . The whole experience ran its course so smoothly, Simon communicated very quickly and answered all our questions which created confidence and assurance that importing our caravan was the right thing to do. The freight service in the UK and Levi in Melbourne also provided a great hassle free service and our thanks to them also. We encourage anyone out there who are considering importing a leisure vehicle to contact Simon, you certainly won't regret it and with the considerable savings to be made thats the icing on the cake. We don't mind if you wish to contact us by email. Best Of Luck! We received our caravan with extras added. What can I say! Amazing service on the sale, organising shipment and aftercare. To Simon and all at Lady Bailey our sincere thanks. We are thrilled with our van, and the import process was seamless and well executed. Simon is customer focused, responsive to queries and questions, and reassuring. Freighting was secure and careful, meaning our van arrived in perfect condition. We are happy to endorse Lady Bailey as a source to import your own caravan. We have just taken delivery of our caravan and have been amazed at the ease in which this happened. Simon assured us that it would be easy but of course we had reservations. After many months deliberating (and talking to other kiwis who had used Lady Bailey to import their caravans) we decided to bite the bullet and take our chances. I don't know why we worried. Simon took care of everything and within six weeks we had our van in the back yard. The shipping agent used, must have had her well secured because there was not a scratch on her. We were able to track her from the time she left the U.K until she arrived in Tauranga and that was fun. So the short of it all is we had a very good experience importing using Simon and his team and we would recommend their services. We are happy for Simon to release our contact details should anyone wish to discuss our experience at importing with them. We received our caravan in March 13 and must say that we were delighted with the total result. I have to say that I very rarely write reviews but in this case, I feel compelled to. Our contact at Lady Bailey was Simon who gave us great advice, great service and to top it all, the best price. He put together all the requested accessories and carefully packed them into the van for shipment. He coordinated with the shipping agents on our behalf thus making the total purchase and shipping package very easy. Any queries to Simon were answered promptly and courteously. I must admit, I am a very fussy person and probably one of the most cautious but I found liaising with Simon made for a trouble free very pleasing outcome. Thank you Simon. P.S Shipping direct into Adelaide was an added bonus, cream on the cake so to speak. Our caravan has just arrived, two very happy Kiwis.Many thanks to Simon and the team at Lady Bailey who patiently assisted us with the purchase process and shipping. All went like clockwork, just as Simon assured us. We highly recommend Lady Bailey & Simon as a purchasing agent to import a caravan to New Zealand. My special friends and caravan buddies Kevin and Noeline Wilson and I saw a little caravan in Timaru and fell in love with it! I contacted Lady Bailey and spoke with Simon. He answered all the questions I threw at him, had a great knowledge of the caravans, was prompt in any response and made the whole process of importing our Orions and new matching awnings exciting and very easy. The 2 caravans fitted in one container and arrived in Christchurch on the day they were expected- 14 February 2013. We love our identical twin Orions (they even have consecutive number plates! )and they are admired wherever we go. 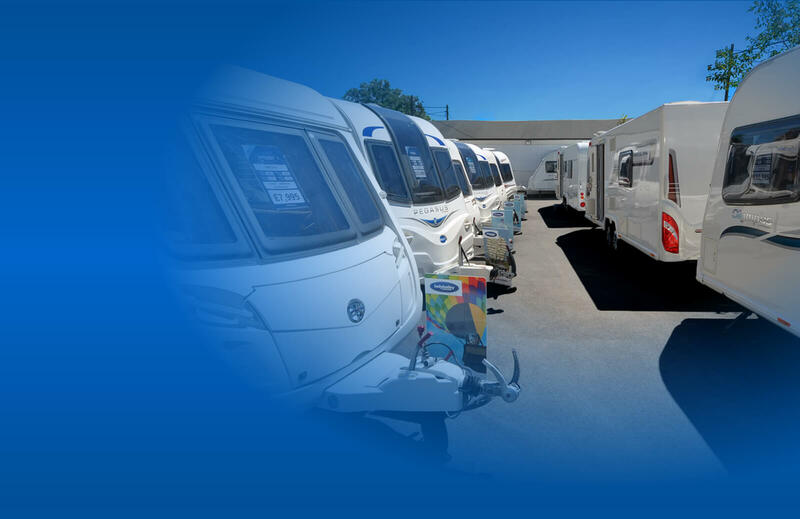 We would certainly recommend Simon at Lady Bailey to anyone thinking of importing a caravan. They are amazing vans, and we saved a considerable sum by importing them ourselves. I am happy to chat to anyone who wants to know more. Thanks again Simon and Alex at Lady Bailey for wonderful service and fantastic vans. Like others, we were a bit hesitant about making a major purchase from unknown people on the other side of the world but any fears were soon dispelled when we received our 1st phone call from Simon. Our new caravan complete with motor mover fitted landed at Port of Tauranga on 17 Feb 2013 as predicted and we couldnt be happier with it. Both Simon and the shipping agent were right on the ball throughout and all I had to do was was hook it on the car and tow it home. I'm more than happy to explain the process to anyone thinking of doing the same if they want to get our phone/email from Simon. We made an enquiry to purchase a caravan and was told it was easy as 1,2,3. It truly was. We were hesitant at first but found our family in UK had already dealt with Simon on a previous purchase - they gave a good reference. Prompt, accurate information, easy shipping and friendly advice made this purchase hassle free. Left UK 26 Jan and arrived in Nelson 7 March 2013 exactly as advised. We were very excited to find Lady Bailey Caravans. Simon was very knowledgable on both the caravans and the process to export one to NZ. He put us in contact with and liaised with the shipping agent, making the whole purchase and export very easy. The caravan is wonderful quality and looks beautiful. It was talk of the campsite on our first outing. I have passed on the website address to any interested parties. We are very happy customers, thank you! Hi Lady Bailey from Christchurch New Zealand. Important announcement. Kevin and Noeline Wilson, along with Lois Flanagan are proud to announce the safe arrival of their twin caravans. Arrived on due date, berthed at Lyttelton, now at home. All the family delighted. Thanks so much for the wonderful part you played. We already have people coming in off the street asking to look at the twins. I have just place feed back and realised I pressed the very good not Excellent. They really do deserve Excellent! trish brown on 7th August 2012 - Auckland N.Z. Just received our caravan and can't say how happy we are! Simple, easy and all at a great price. Who knew that bringing a caravan half way around the world could be so painless. Great job, Simon. Many thanks. Two months ago we decided on approaching Lady Bailey to enquire about exporting a caravan to NZ. Unlike others, their knowledge and experience with exporting was second to none. Simon led us through the process, communicated well and promptly which is very important given the distance and time difference. Their pricing was excellent. Their relationship with the shipping agents made factory to shipment seamless. The caravan arrived 7 weeks later in perfect condition and we couldn't be happier. Thanks Guys.